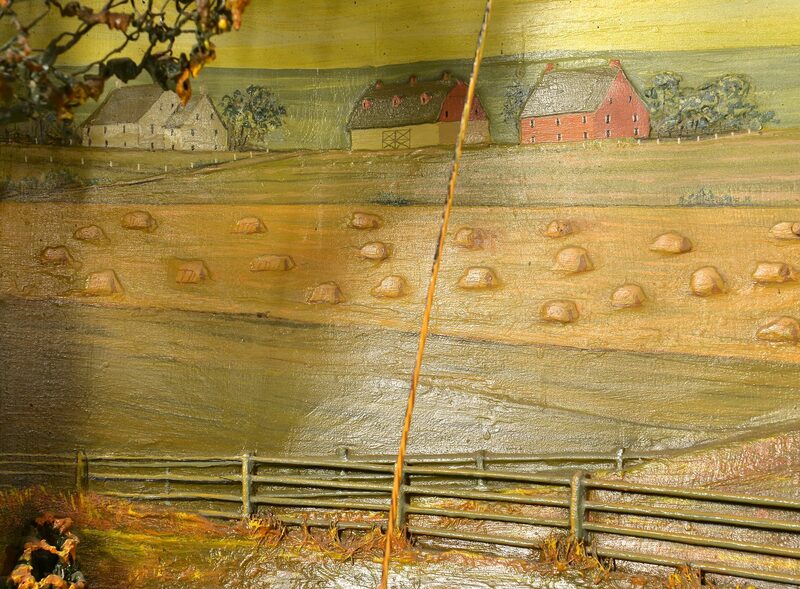 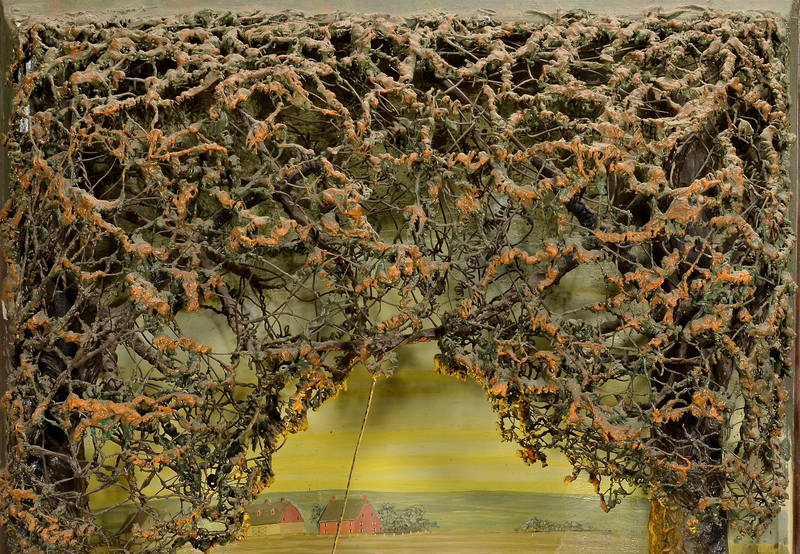 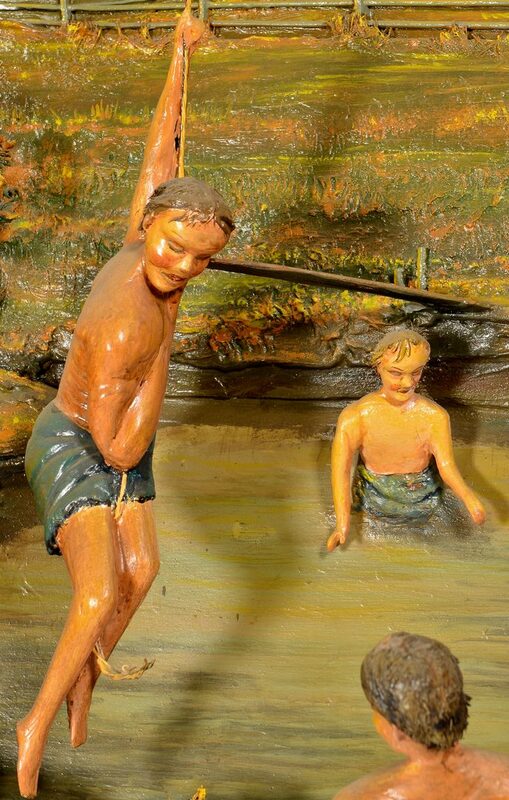 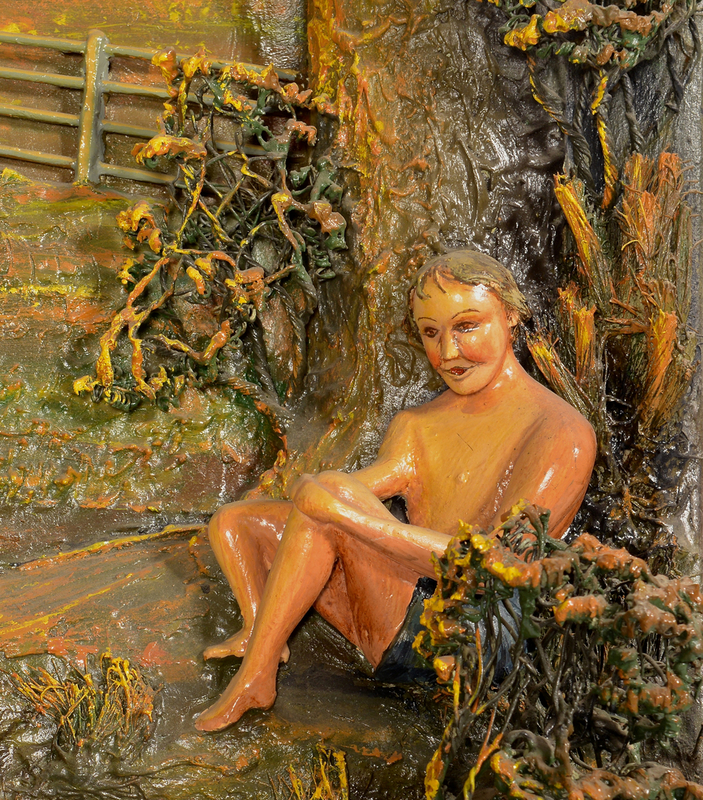 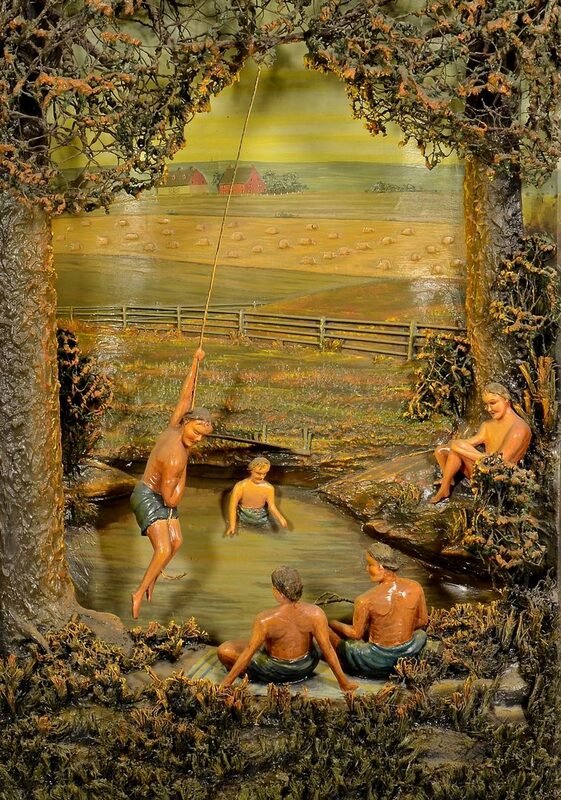 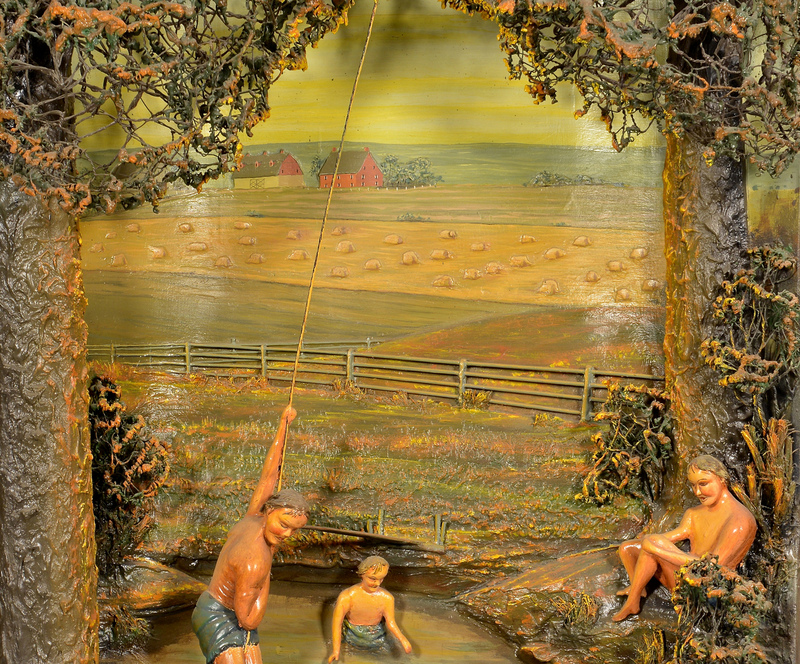 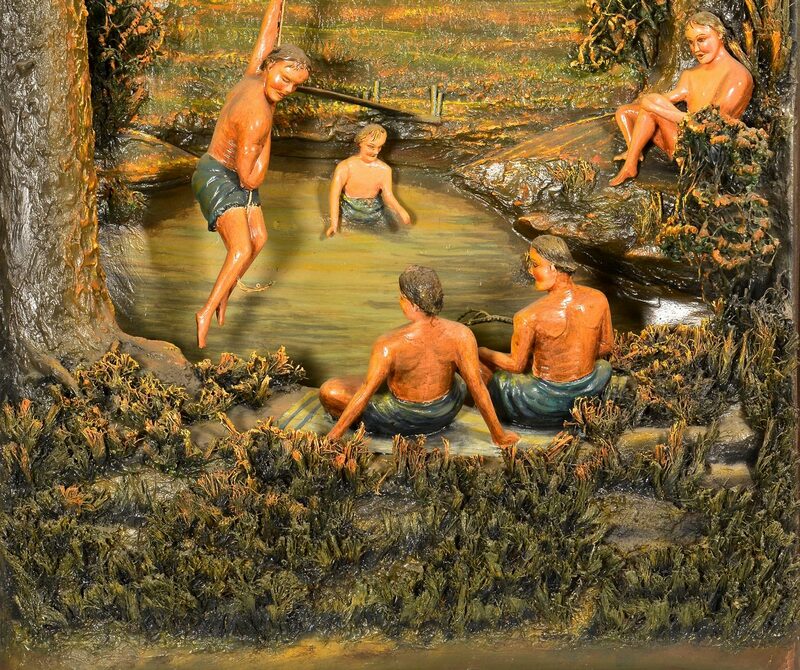 Carved and painted Folk Art diorama by Aaron Zook (Pennsylvania, Amish, 20th c.) titled "Swimming" depicting young boys swimming beneath trees with a farmstead in the background. 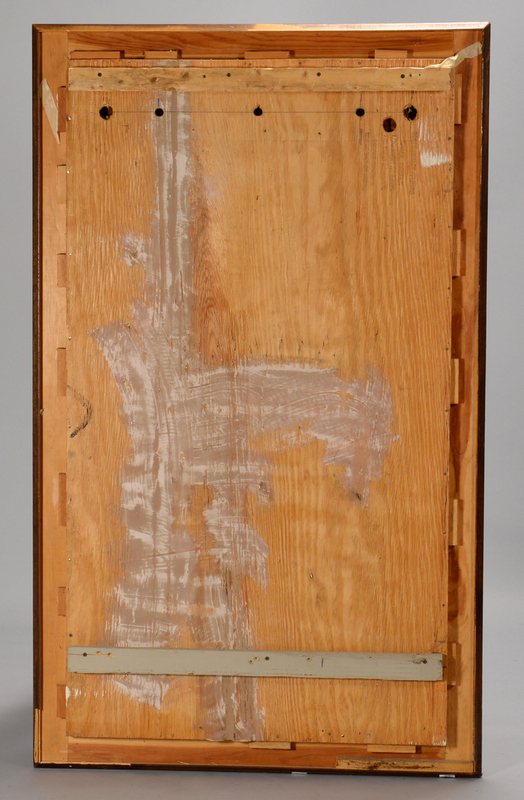 Signed and dated "1976" lower right. 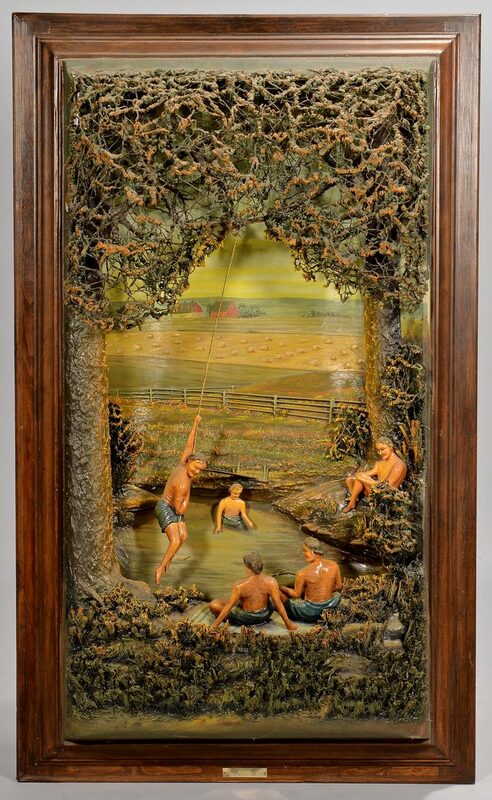 63" H x 36 3/8" W x 10" D. CONDITION: Overall very good condition.